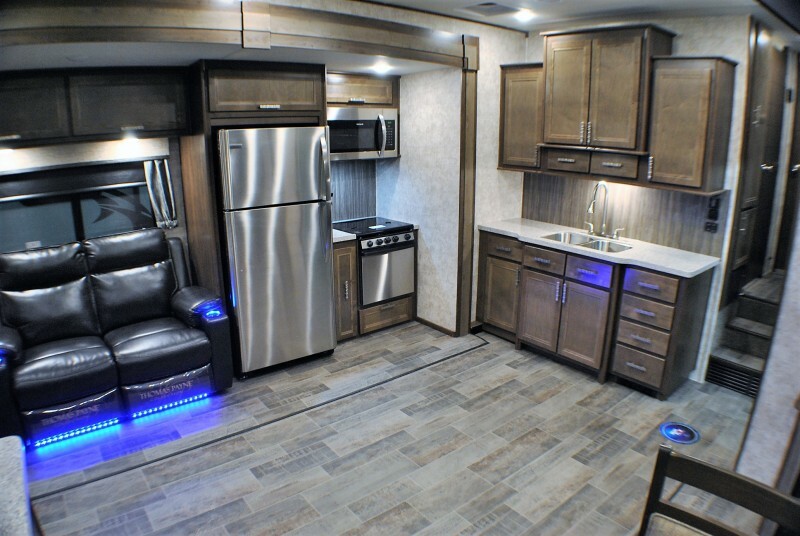 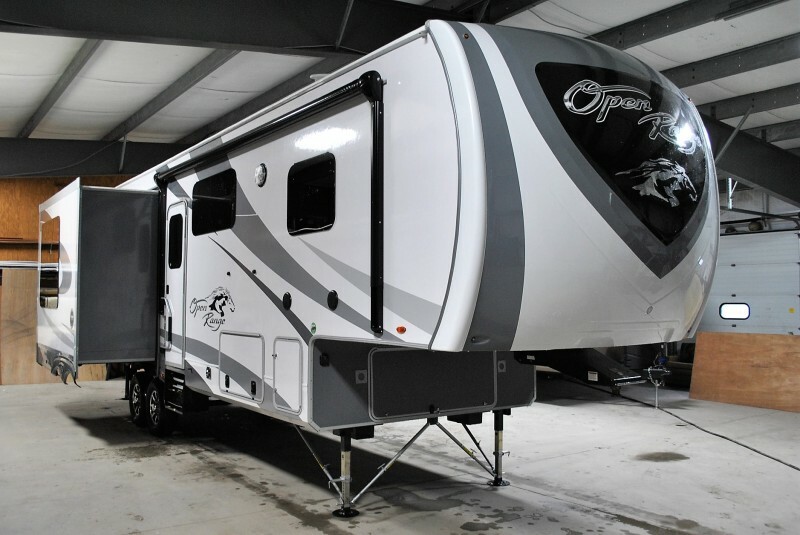 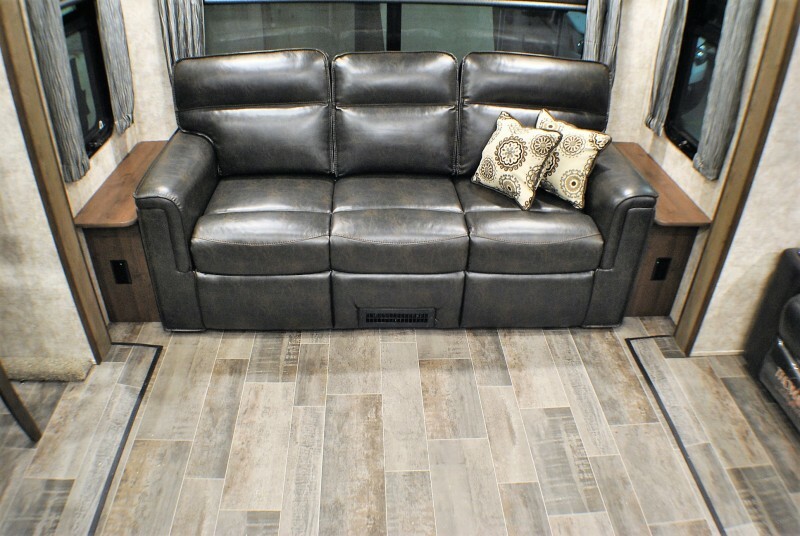 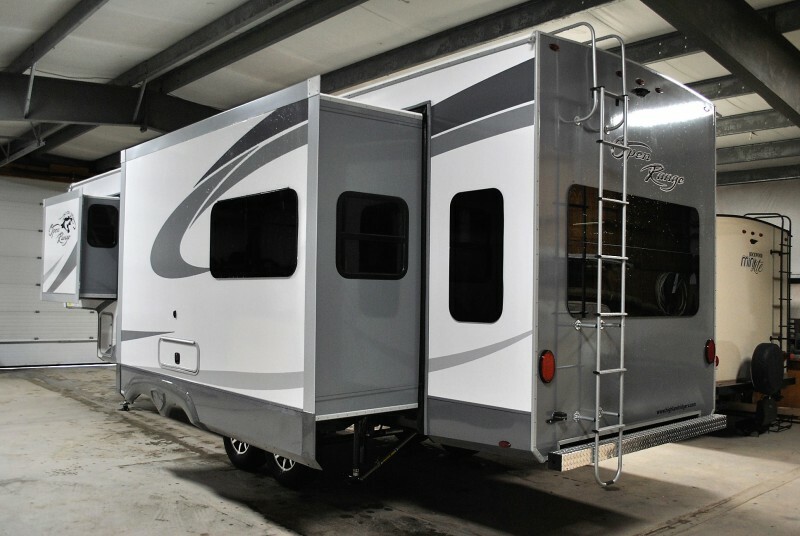 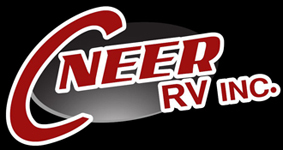 Check out this 2019 Open Range 337RLS, stock number 7004! 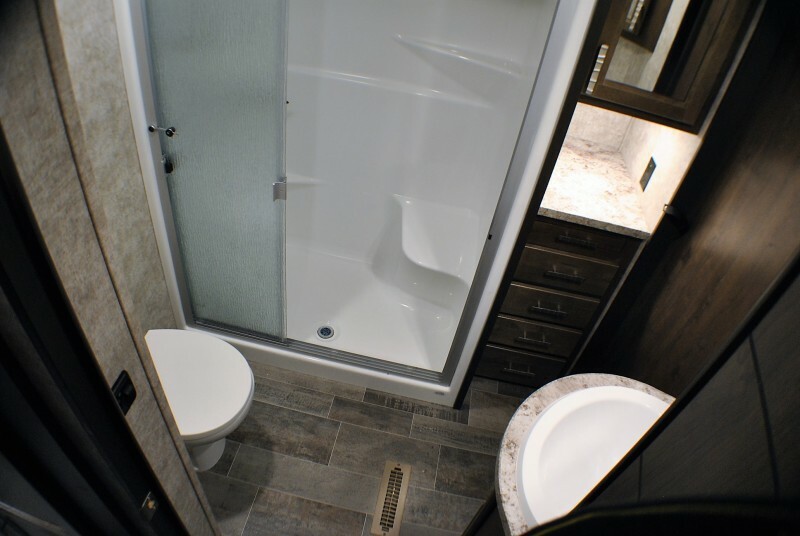 A MUST SEE high end rear living unit! 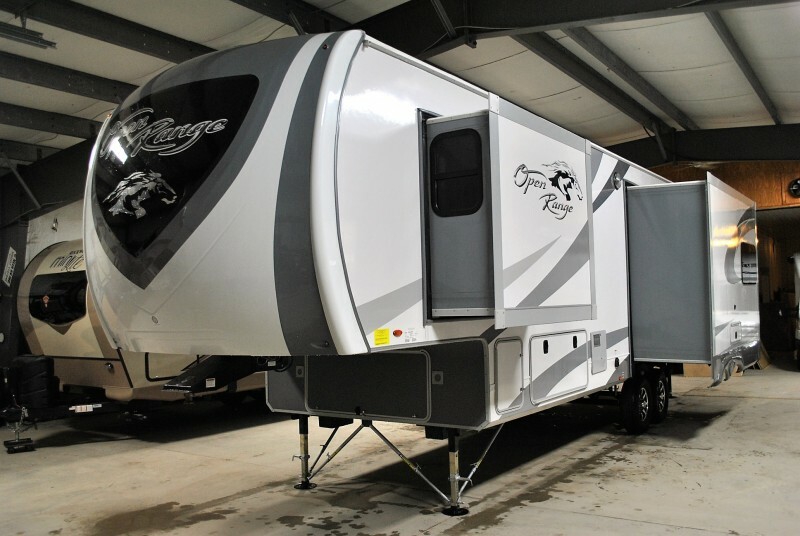 Three 42″ deep SLIDES!!!! 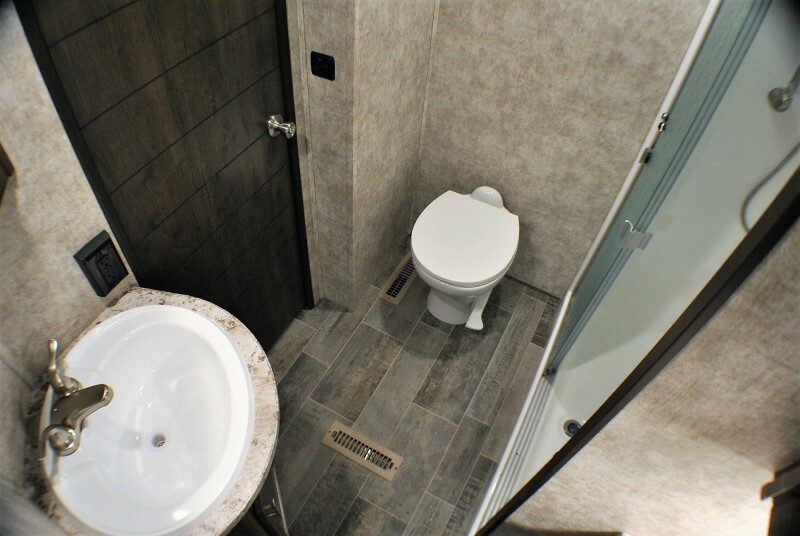 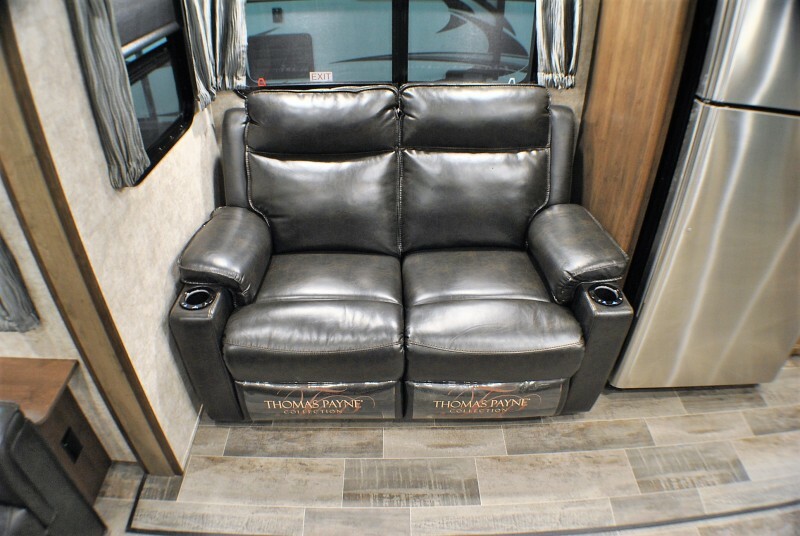 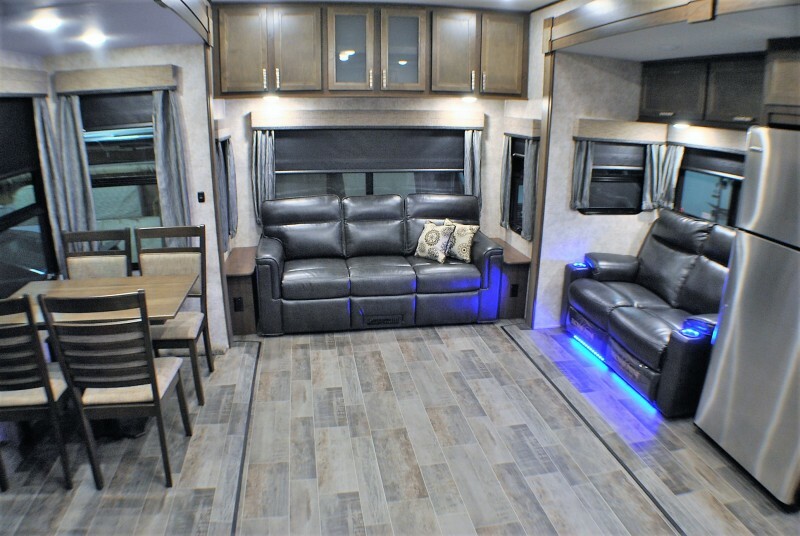 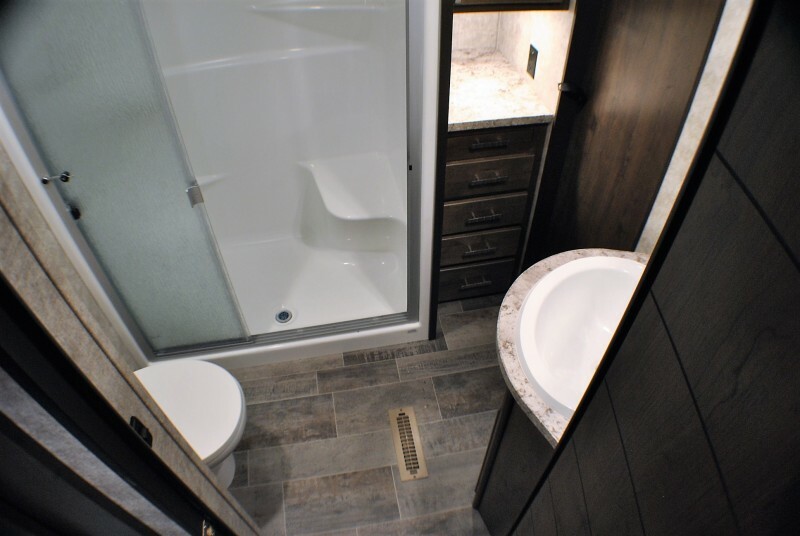 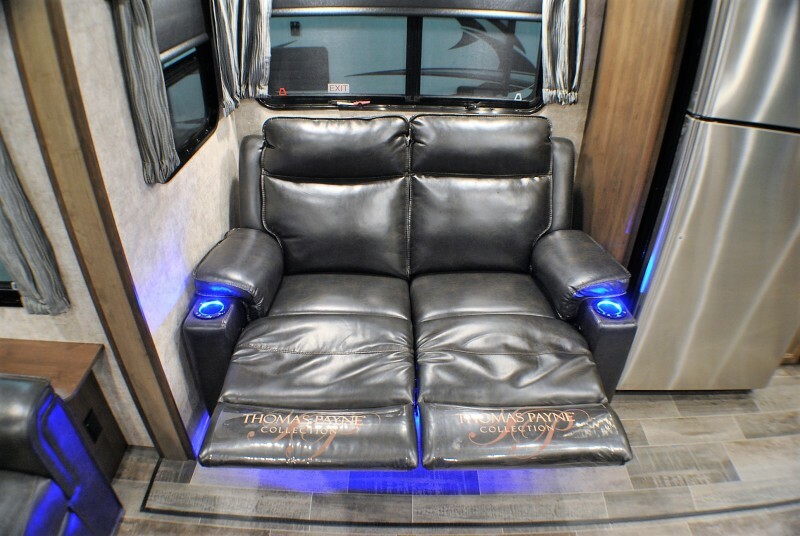 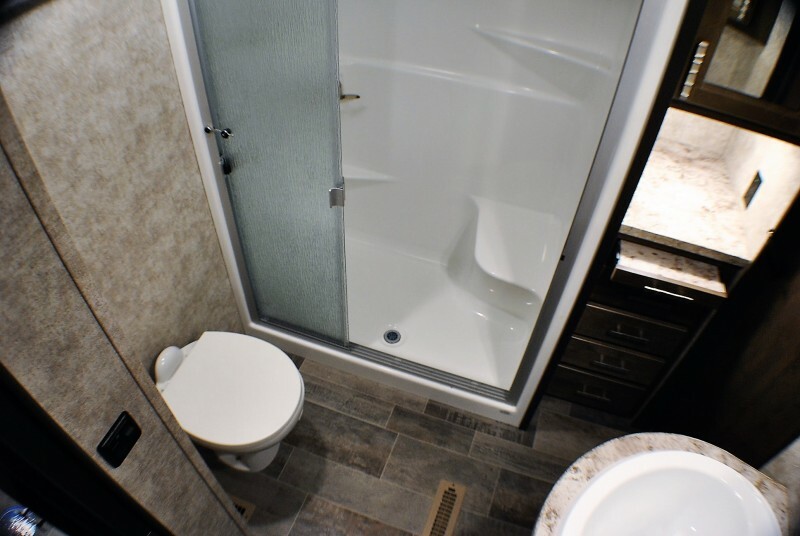 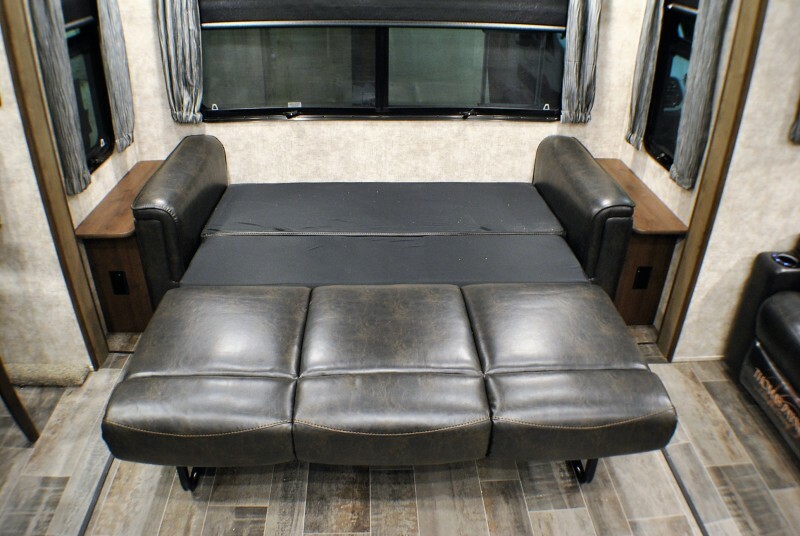 Front private master with bed slide, mid-ship side aisle bath with large shower, opposing living room slides, rear sofa/sleeper, Heated massage theater seating, executive kitchen, auto leveling, loaded with high end features!